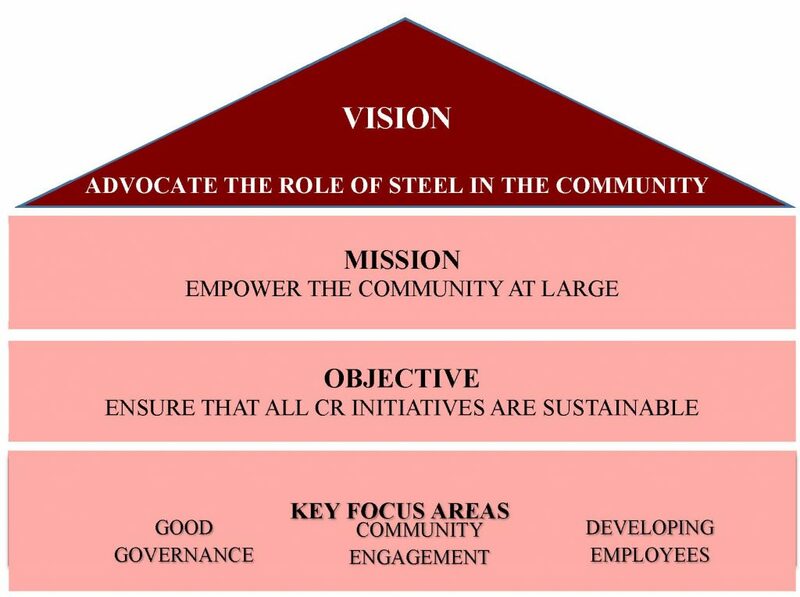 Masteel strongly advocates the use of steel to constitute impactful, sustainable projects that will benefit our community. We are committed to ensuring collaboration with stakeholders to implement best business practices, which includes producing steel in a sustainable manner. Malaysia’s commitment towards sustainability has sparked a movement in business towards greater consideration for environmental, social and governance factors. Prime Minister Dato’ Sri Haji Mohammad Najib bin Tun Haji Abdul Razak announced that Malaysia plans to reduce its greenhouse gas emission intensity of gross domestic product by 45% by 2030. In 2015, Malaysia became a signatory to the United Nations Sustainable Development Goals. Businesses no doubt have a role to play in fulfilling these ambitious aspirations. According to the 11th Malaysia Plan, Malaysia has set a target to become an advanced economy by 2020. This is to be achieved in a manner that includes being resilient, low-carbon use and resource-efficient. These can be attained with the help of green growth, which Masteel has already begun to support. Economic – Adhere to industry standards whilst keeping costs at bay. Environment – Optimise efficiency of resources and recycle materials to minimize wastage. Social – Positive impact on our employees and the communities we operate in. In the past ten (10) years, Masteel has significantly improved its capacity to convert feedstock into finished goods without any increase in the space needed for operations. Masteel’s product recovery has also constantly been in the upper 5% of the global industry benchmarks for steel producers. Recycling steel at the lowest cost is a paramount objective to us, and we are increasing our capacity to recycle while reducing costs by 20% in the next five (5) years. Our Research and Development department is exploring ways to integrate automated processes to further reduce costs associated with our steel-making process. In addition to the cost reduction initiatives, we have increased production volume by 76% since 2007 (Figure 1). Reduction in the cost of the transformation from raw material to finished products. Integration of technologies from the Fourth Industrial Revolution to improve efficiency and regenerate the natural environment through more effective asset management. Use of a diverse blend of steel scrap so that a wider variety of materials can be recovered to create our products. This enables us to be agile in our process while recovering and recycling more materials. Constant review and development of the metallurgical properties of our product to ensure greater durability towards the goal of sustainability by our Research and Development department. 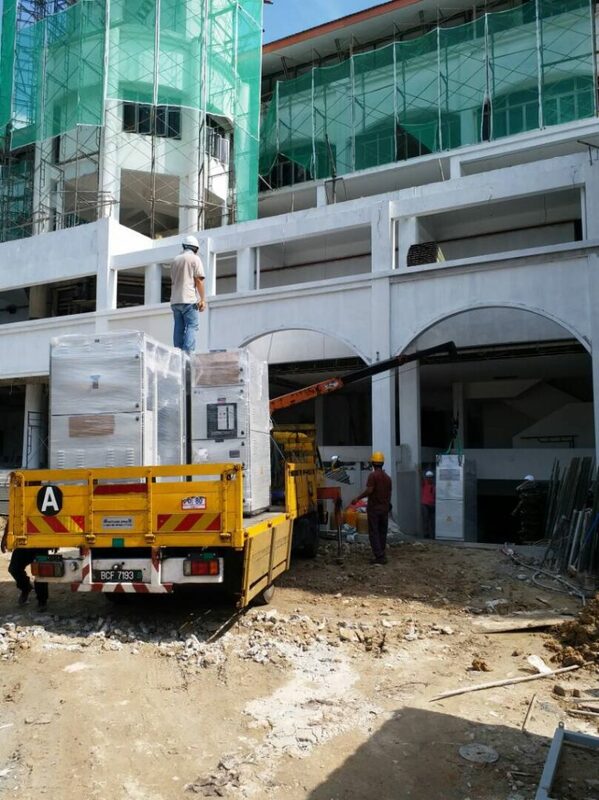 Materials storage in accordance with strict occupational safety and health standards, which ensures the safety of our workers and all others present at the site. Access to the manufacturing site is also carefully managed to ensure safety for our people. These principles are represented in our CR framework (Figure 2). A committee of our most senior managers has been tasked with overseeing all our CR initiatives, meeting periodically to monitor each programme and to ensure accountability. An example of where we are realising our CR vision is at the MVSP. We have donated our products and services to upgrade the foundation of the community building so that an additional level can be accommodated with further refurbishment works. We also aim to support the community through the Sanctuary’s work. True to our mission, we have played a vital role in this project. Over the past twelve (12) months, work has been carried out on the structure and foundation of the Sanctuary, and the building will be completed in the third quarter of 2018. We look forward to showcasing our commitment to support the Sanctuary’s community programmes. We believe the key to being a truly sustainable business is in the strength of our people, and so we are investing in their continuous development. 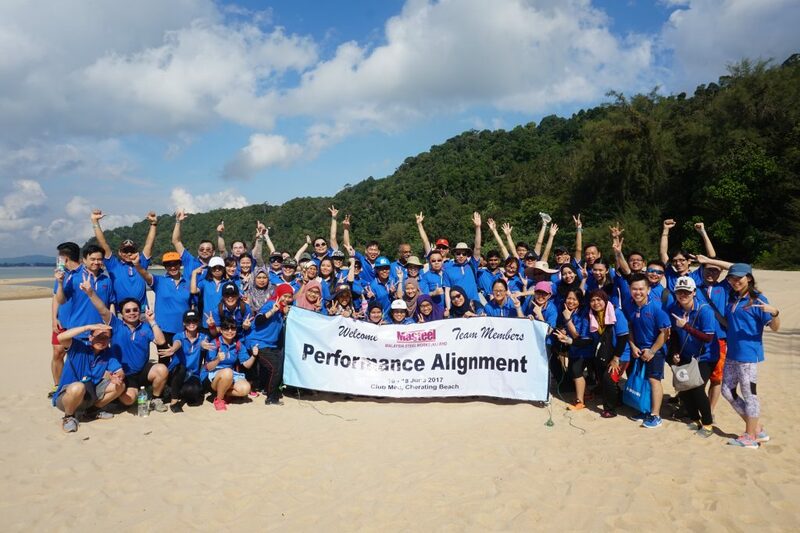 More than 150 staff underwent “Performance Alignment’ training, which is a programme to achieve higher performance levels. It also provides a platform for employees to better understand each others’ strengths and areas of development. Further training that was held to complement the “Performance Alignment” training was a session called “Synchronised As One”. This focuses on effective communication. Human capital is pertinent, as the legacy of Masteel rests on the people who will succeed us in the long term. We aspire to set standards that our successors can take on and build on, which includes setting a clear vision of longevity and sustainability. The steel industry has been a pillar supporting Malaysia’s industrialisation and is crucial for this nation’s continued growth. As a leading steel producer, Masteel is fully cognisant of our roles and responsibilities to our community and the country as a whole. 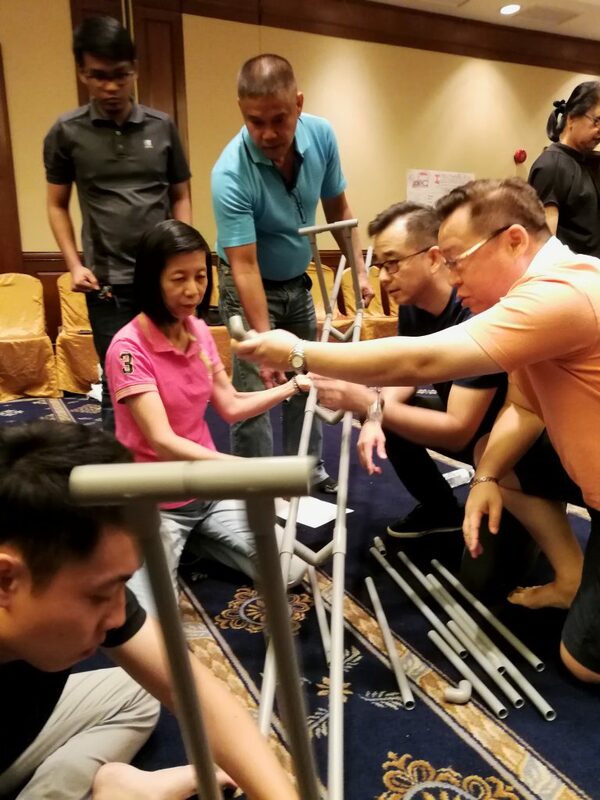 As a member of the local community, we constantly strive to improve efficiency and reduce waste; and in the case of MVSP, we empower and enrich the community through the Sanctuary. As a member of the international community we ensure that we exceed not only regulatory requirements of Malaysia, but also comply with Australian and international standards in steel production. Finally, as an employer, we strive to develop our people to meet their aspirations and ambitions.